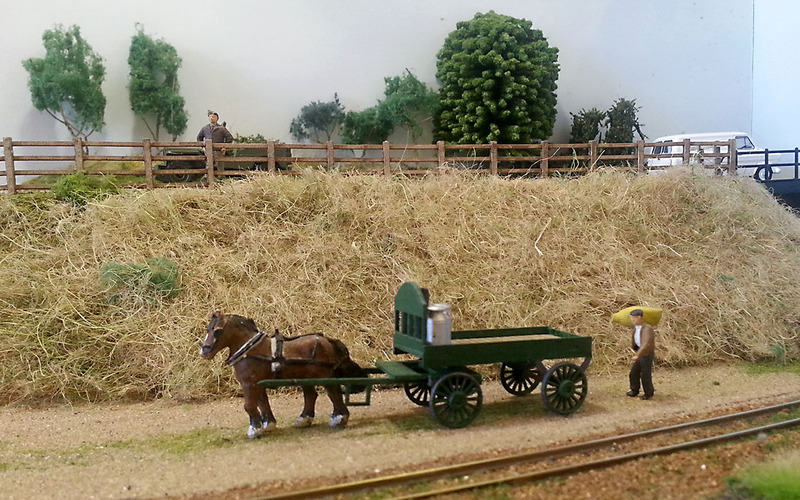 On Saturday the Norfolk and Suffolk Narrow Gauge Modellers held a ‘running day’, basically, they bring their layouts and run them. Good idea huh? Held in the Barsham Village Hall, a converted Victorian school, it was open to the public to raise funds for new indoor toilets for the hall. There were 75 visitors and the event raised over £300. 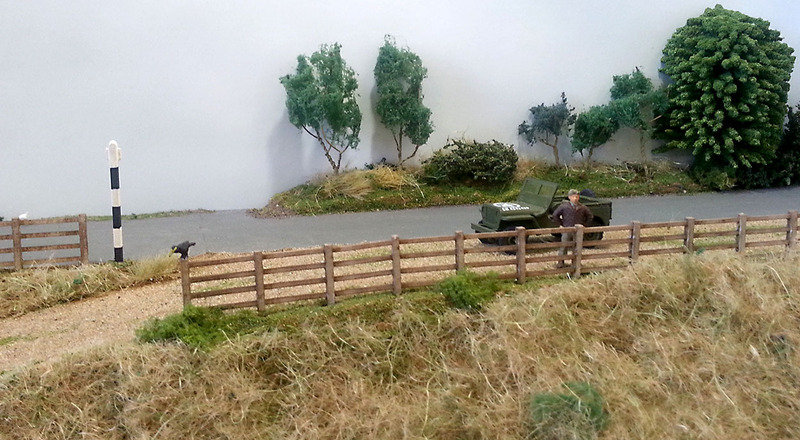 It provided a great venue and the N&SNGM organised nine layouts, a modelling demonstration, a sales stand from Great Eastern Models and excellent refreshments. 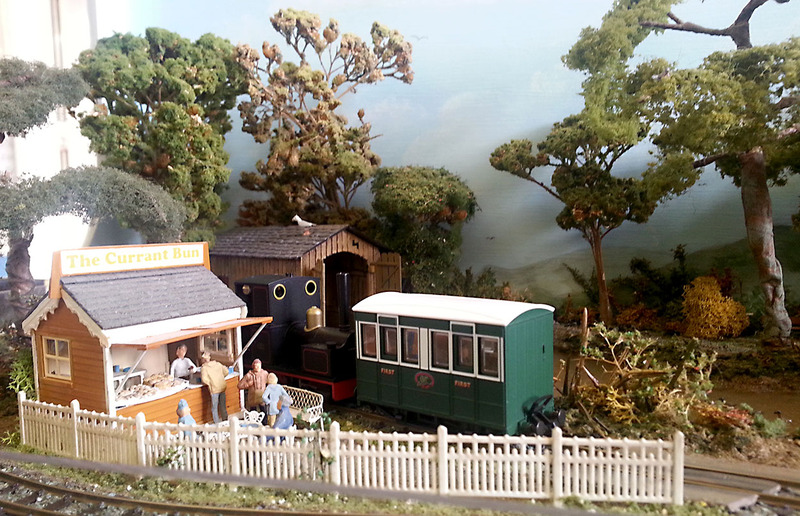 The layouts included Shipmeadow by Richard Doe. The real Shipmeadow workhouse sits on a hill only a few miles from the Barsham Village Hall and I drove past it on my way to the running day. 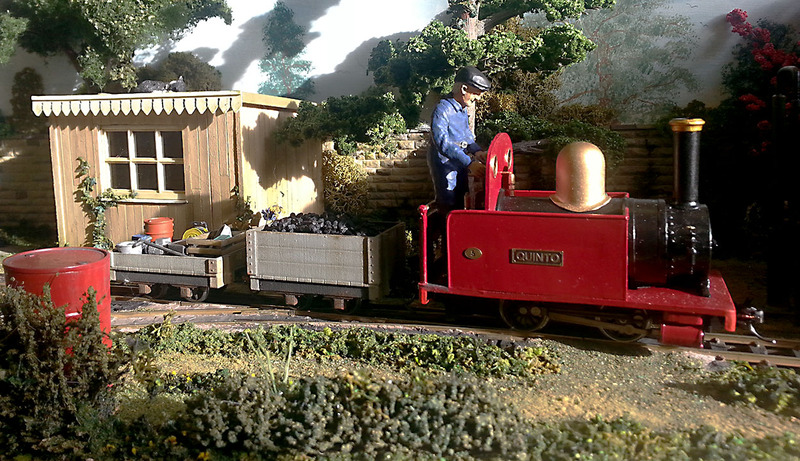 It looks just like Richard’s model (or should that be the other way around?). 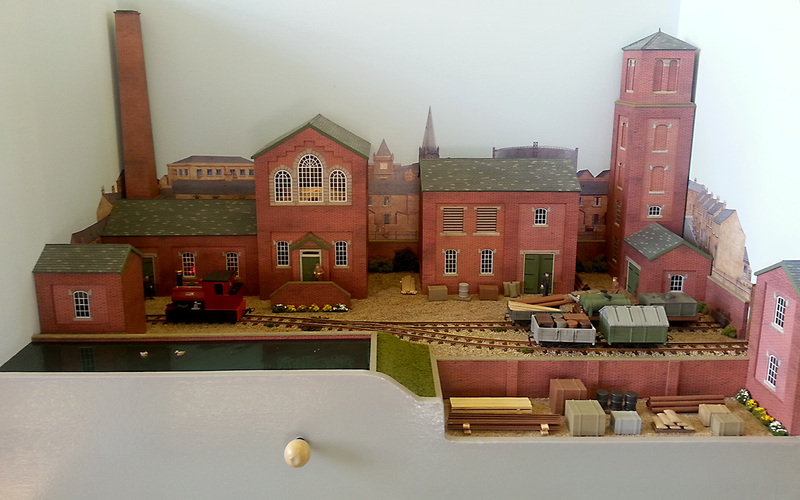 Shipmeadow was being operated by Richard’s 5½ year old nephew who introduced some of his model vehicles onto the layout. And why not. Priory Waterworks 009 by Chris Seago. 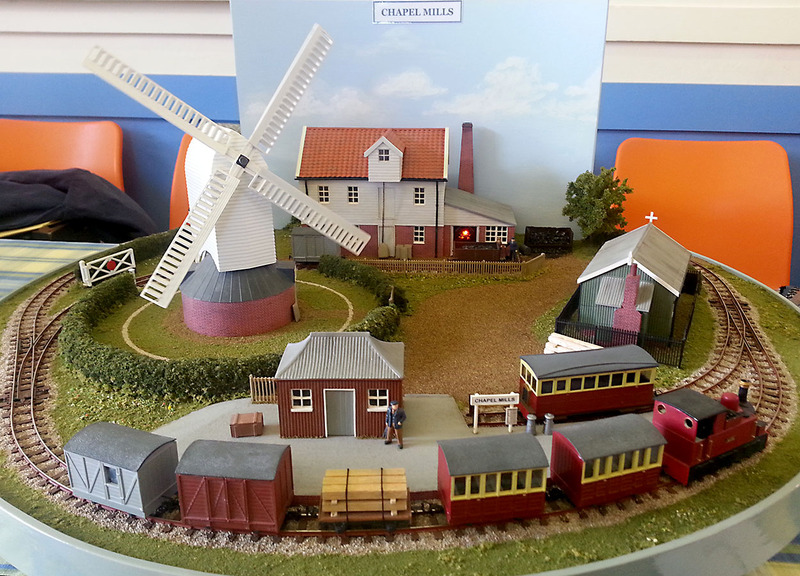 Chapel Mills 009 also by Chris Seago, featuring a working windmill, illuminated boiler and a working grain lift. Old Chapel Yard 009 by Jim Bamber. Hawkins Tower 009 Philip Moore. Longstone Maintenance Shed Gn15 Graham Watling. 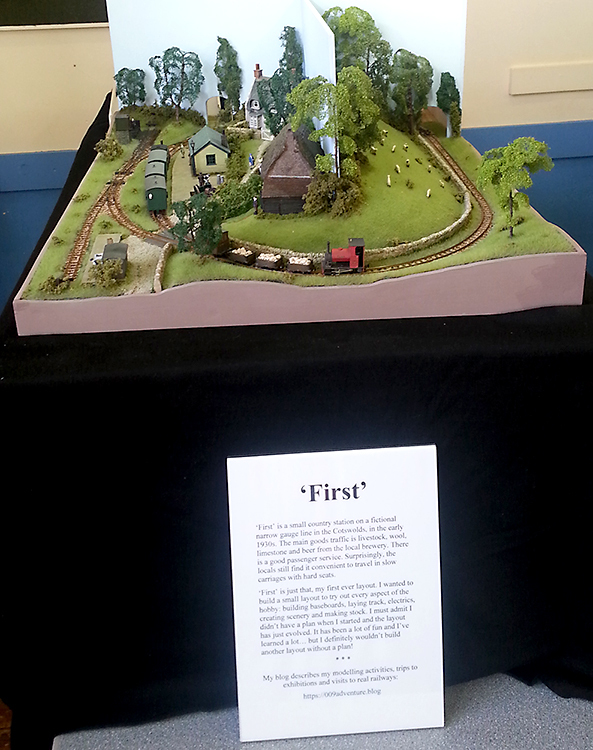 I had a really enjoyable day with ‘First’, operating the layout and talking to the visitors and exhibitors. If you stopped for a chat, it was a pleasure to meet you. Yes, it was a good show. I realise it’s also a long way from Liverpool too but will you be at ExpoNG in a couple of weeks? Many thanks for the reblog. Definitely a good day out! It was a great little exhibition. Although we’d come all the way from Sussex we were greeted like old friends.